Early Bird tickets include a three course meal! 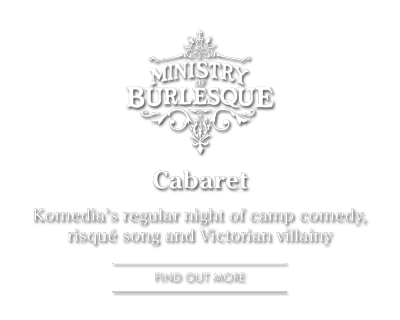 Celebrate this Christmas in style with The Ministry Of Burlesque’s Christmas Cabaret – an uproarious revue of camp Christmas comedy and festive friskiness, featuring the daring antics of scantily clad showgirls, the sultriest of sirens and the edgiest comic-cabaret masters!  For one night only, our baroque auditorium will be transformed into a glittering festival of the weird and wonderful to dazzle, beguile and utterly amaze party-goers this Christmas. 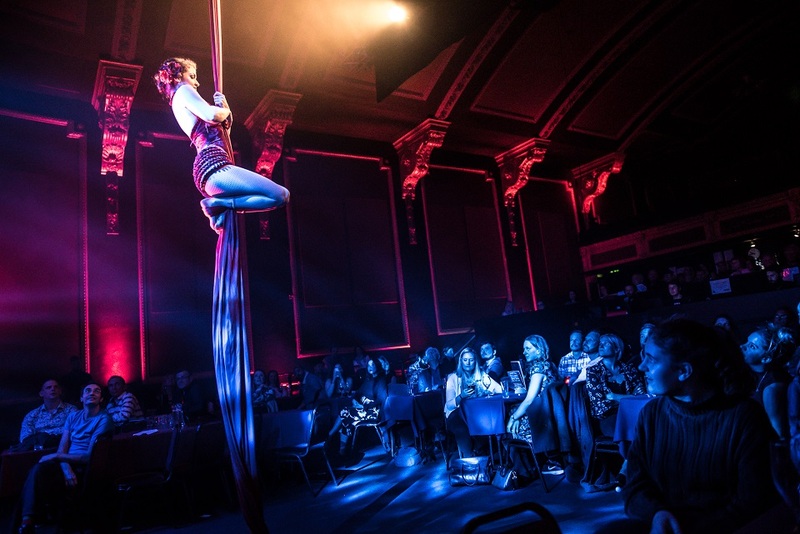 With a night of festive treats – both naughty and nice – all under one roof, guests are invited to eat, drink, laugh and dance the night away in true vaudevillian excessive style. 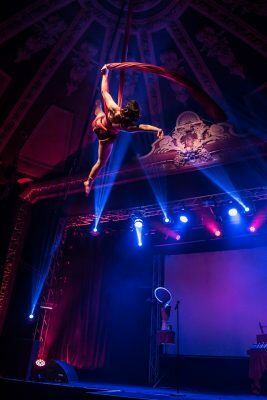 Prepare to witness amazing aerial displays, breathtaking feats of human grace and the daring antics of scantily clad showgirls. 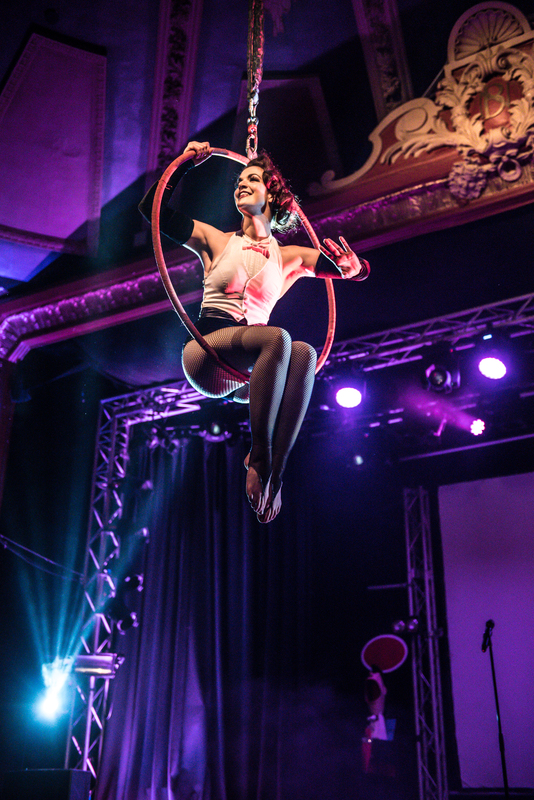 Hear songs from the sultriest of sirens and be entertained by the edgiest comedy and cabaret maestros the Ministry of Burlesque crew has to offer! So dig out your festive frock and finery and get in line to join Santa’s naughty list! 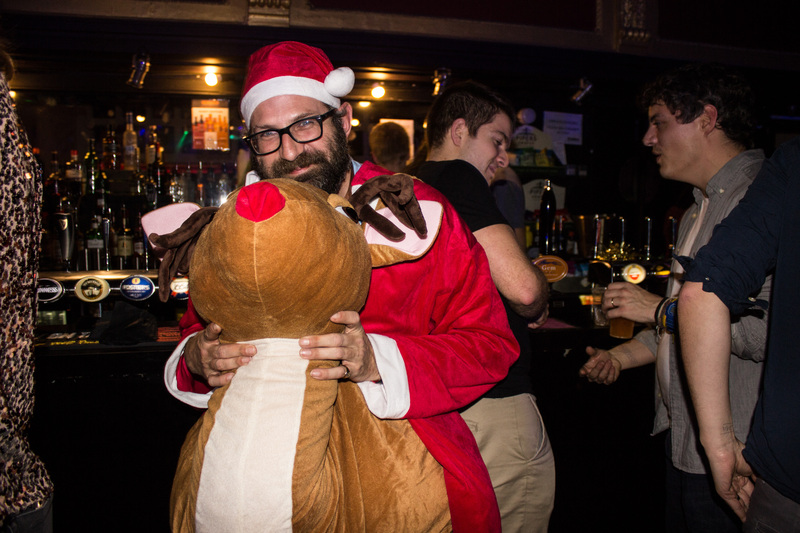 Perfect for your Christmas treat with friends or work colleagues, a Christmas Meal & Show ticket gets you a three-course meal, an amazing night of burlesque, and after-show disco so you can dance till late. Choose from our Christmas Menu and enjoy a fabulous 3 course meal OR main course only option before the show. 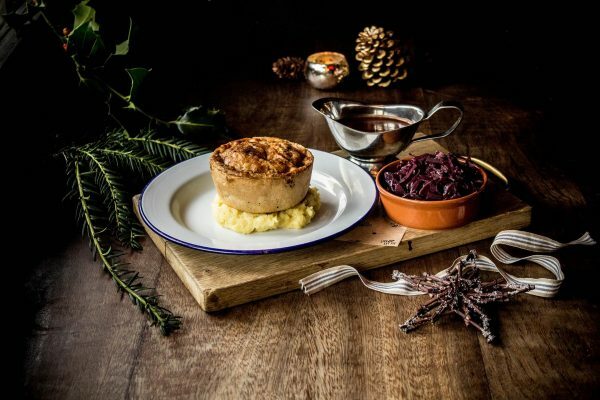 There’ll be delicious homemade starters, mains featuring Pieminister’s staggeringly good festive pie range, sweet treats and plenty of Christmassy cocktails to indulge in! Once stuffed to satisfaction and thoroughly entertained, guests can dance the night away to their favourite songs, courtesy of club FAME right through to 3am – all included in the ticket price! Click HERE to view our 2018 Christmas menu, featuring homemade starters, Pieminister’s staggeringly good festive pie range, sweet treats and Christmassy cocktails! All food needs to be pre-ordered. We will email you a food pre-order form once you have booked your tickets. You can also pre-order drinks to be on your table upon arrival whether or not you are eating with us. 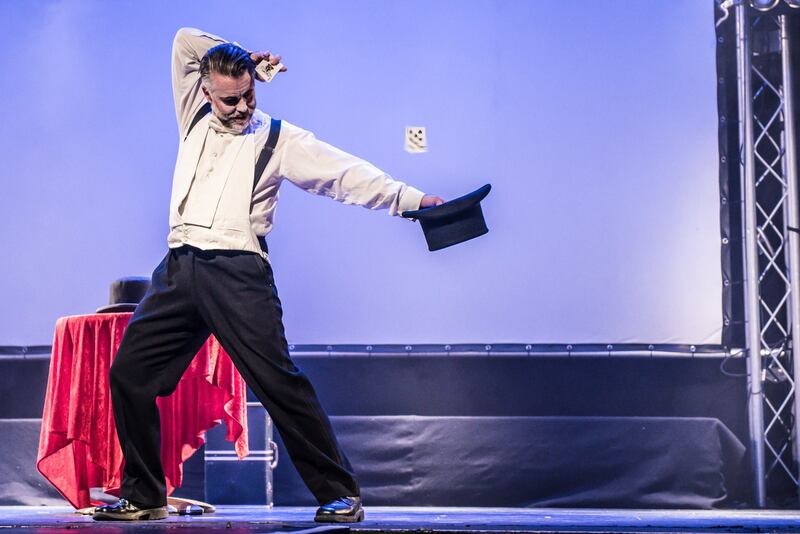 Rod has gained a reputation for being one of Europe’s most entertaining and innovative comperes. 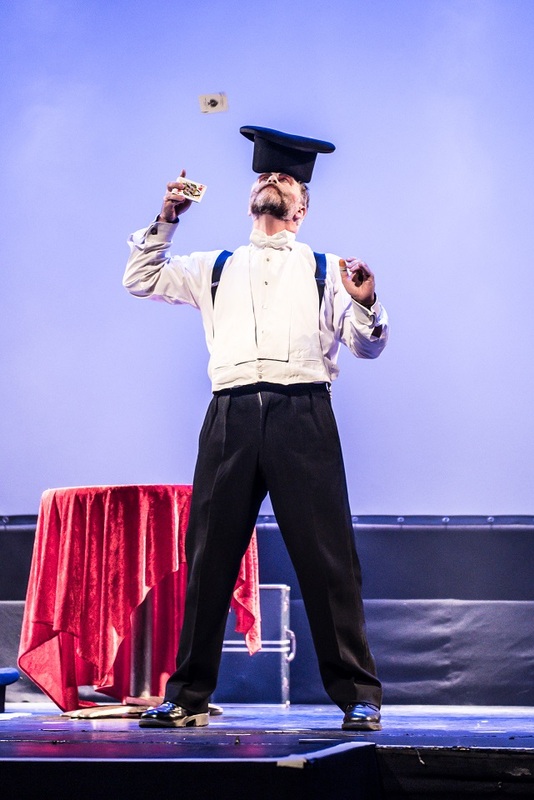 A truly original artist, his performances range from acerbic and hilarious stand-up, to astonishing and theatrical ‘gentleman juggling’. 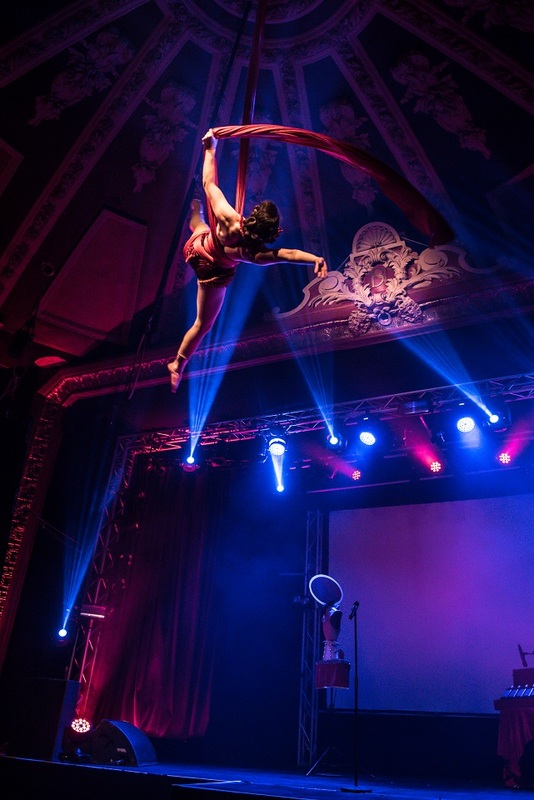 Combining contemporary aerial circus, physical theatre and years of dance experience, Alexandra creates sophisticated and beautiful performance art. Drawing on her strong comedic sensibilities, Alexandra is never scared to explore the darker side of humour. An award-winning and critically-acclaimed cabaret chameleon, Coco stands as one of the most unique, established and beloved performers on the circuit. With over a decade of professional stage experience, Coco holds an eclectic repertoire which never fails to stun audiences. Handbalancer, acrobat and sideshow showman, Jamie has tutored circus skills in Falmouth, and studies at the prestigious Circomedia in Bristol. Performing aerial, manipulation and acrobatics, he is one of the only contemporary chair stacking acts in the UK. If you book online you will need to pay balance in full when you book. If you book over the phone or in person you can secure your booking by paying a 20% non-refundable deposit. All food needs to be pre-ordered. We will email you a food pre-order form once you have booked your tickets. You can also pre-order drinks to be on your table upon arrival whether or not you are eating with us. All other tickets need to be paid in full no later than Sunday 11th November 2018. 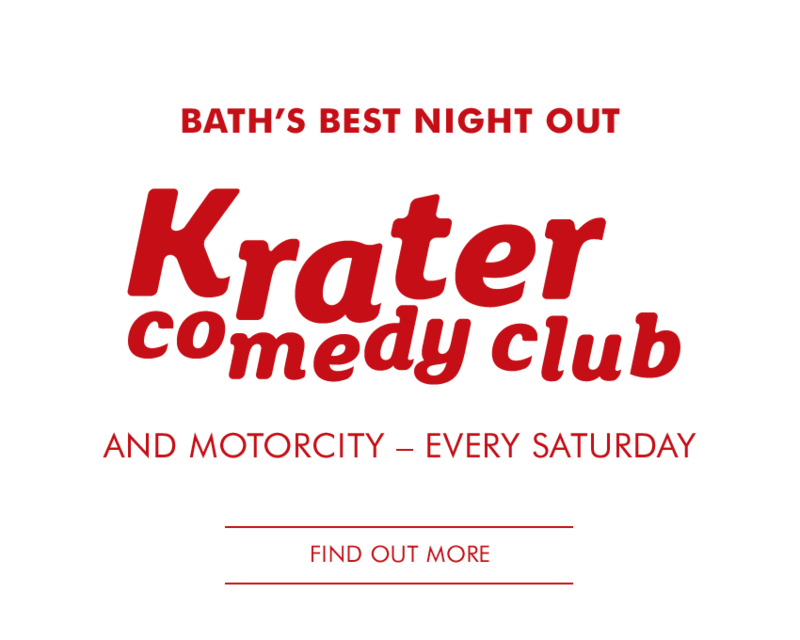 Any tickets purchased on or after 11th November need to be paid in full when you book. All tickets are non-refundable once your balance has been paid in full.